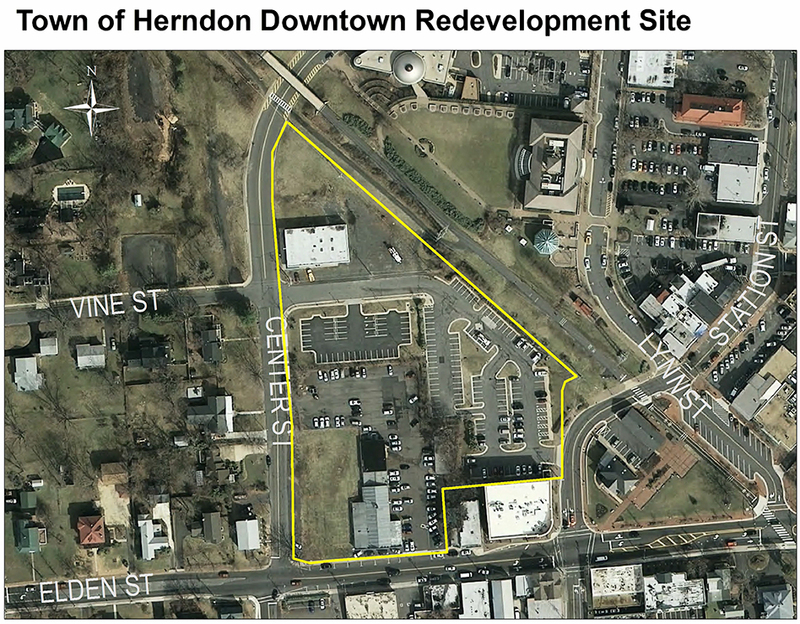 At a public hearing Tuesday night, local residents voiced strong support for the redevelopment of downtown Herndon as town officials work to address appeals against the project by local property owners. Three property owners filed appeals against the project, citing concerns related to the development’s impact on traffic and inconsistencies with heritage preservation guidelines, including density increases above standards laid out by the town. “We stand to lose the vibrant, thriving small town of the future, one that exudes this Herndon exceptionalism that we all love so much,” Scherff said. In November 2017, Town of Herndon officials entered into an agreement with Comstock to breathe new life into 4.7 acres of in the Historic Downtown District. Plans proposed in June include a parking garage, 274 residential units, an 18,000-square-foot arts center and 17,00 square feet of retail space. Earlier this year, the town’s Heritage Preservation Board approved the project, despite staff’s recommendations to defer action on the overall project. Filed appeals following the board’s decision rendered the project’s Certificate of Appropriateness void. The town’s council will consider the appeals in the coming weeks. The agreement for the project is unaffected by the voided certificate, which delays the implementation of the project.